Google reader allows you to follow all your favorite blogs, sites, news items in one place. It also allows you to see what your friends are reading and you can share any article you like. It also synchronizes with the web version keeping all the reading lists up-to-date. Google has recently announced a number of updates for its reader android app. It now has the ability to receive a number of widgets that were created depending upon users feedback. 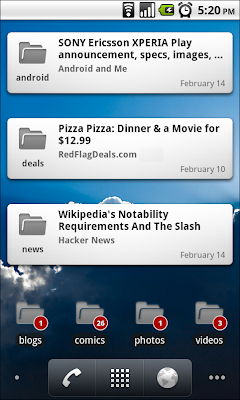 These include an unread count widget, a news ticker widget and a mark previous as read widget. It also supports Russian translation. The unread count widget allows users to choose labels, persons or feeds and then places an unread count on the screen. 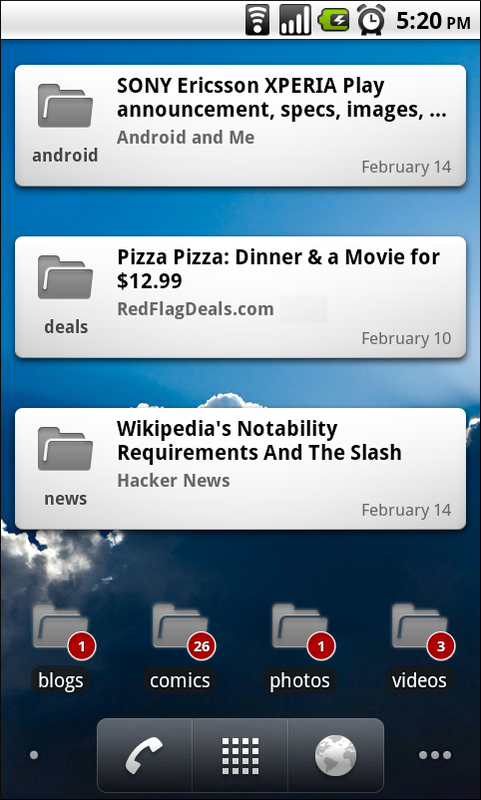 The ticker widget presents the items in a stream and allows you to scan the article with a single click. The app is available for FREE and is definitely worth a try.